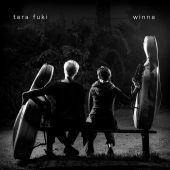 In the fall of 2000 a new phenomenon emerged on the Czech music scene – a cello duo TARA FUKI. The duo is formed by the singing violoncellist Andrea Konstankiewicz-Nazir (she was also in the band BOO, in music-dance formation Rale and in French Kubilai Khan Investigations) and Dorota Barová (she was also singing with Chorchestr band and Asyl Akt). Both cellists are dedicated to music since childhood (conservatory, studying musicology, various musical projects) but the duo Tara fuki couldn’t be created until they met in Brno in 2000. Their music is absolutely original and peculiar (its roots are in joint improvisations which are gradually worked through deeper and deeper), delicately dynamic and very rich in its expression. Enriched of different musical styles with the flavor of distant places creates an original kaleidoscope of woman’s soul. Their songs for two wooden bodies interlaced by caressing sound of Polish language create a fragile web of tones which, by a wave of a bow, can change into dangerous trap. Both energetic violoncellists come from North Moravia, where, however, they missed each other at the Ostrava Conservatory. They finally met few years ago in Brno while studying musicology at the Philosophical Faculty. Both shared the same desire to play acoustically. Moreover, it soon became clear that Dorota sings beautifully. In their music and lyrics they were inspired by poetics of nights and dreams which they perceive as an extract of subconsciousness. . “Because, “as Andrea reveals, “what we live through at night is completely different and often truer than what we perceive during the day.” Like dreams, their music can also gently caress and soothe, but also hurt in its brutal intensity. 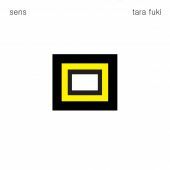 Since the beginning, Tara fuki has been very successful performing in the concerts across Europe (Czech Republic, Slovakia, France, Germany, Italy, Austria, Sweden, Poland, Russia, Ukraine, Romania, Holland, England, etc.) and in Central America. 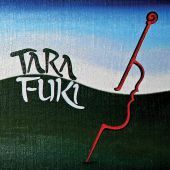 In 2005—2007 Tara fuki represented the Czech Republic in France with their performance for children called “Kapka”. For their music they received the Czech Academy of Popular Music Award in the categories of "Alternative Music -World Music" and " Newcomer of the Year” for 2001 and in the category of “World Music” for 2007. In 2007 they were the first Czech band in the global music fair “WOMEX” in Sevilla, Spain. They performed this year as the first Czech band on the global music fair WOMEX in Seville, Spain. In 2015 the duo was awarded a prize by experts at the 2nd showcase festival, the Czech Music Crossroads 2015. 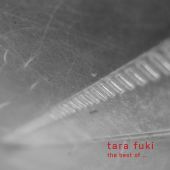 In the 15 years of their existence, Tara Fuki have released five albums (Piosenki do snu, Kapka, Auris, Sens a Winna), and are now launching their compilation The Best of Tara Fuki. (Née Blahutová), born on August 22, 1975 in Třinec. The career of singing violoncellist started shortly after graduating from the Ostrava Coservatory (violoncello, 1989 – 1995). For two years she was in music group of the guitarist Tomáše Maňas called Lippany, she composed and interpreted music for French Theater FF MU in Brno (1996 – 1998). In 2000 – 2002 she played in the band of Jiří Hradil called Chorchestr (funky-beat-jazz). - 2002 - 2006 she played with the group of Jiří Starý called Asyl Akt (electro-acoustic-trip). • 2004 – 2007 she was the music editor of Brno jazz café PoDobrazy. - Currently, in parallel with Tara Fuki she performs with the bands Vertigo Quintet, Baterky, with improvisational acoustic duo Tellemarkk, in duo called DoMa Ensemble, with the saxophonist Marcel Bárta and with Kuzmich Orchestra with the guitarist Josef Ostřanský. She cooperates with Brno teater Neslyším in the performances directed by Zoja Mikotová. For the music to theater performance Dům Hluchého (Dorota Barová and Zdeněk Kluka) she was awarded by a third Thalia prize in theatre season 2003. In 2006 she composed and recorded music for the film “Marta” by the director Marta Nováková. After finishing studies at the Ostrava Conservatory and FF MU Brno (aesthetics and musicology) she started to perform in 1997 with international groups RALE and BOO. Since 2000 she played with a French dance group KUBILAI KHAN INVESTIGATIONS and with the violoncello duo TARA FUKI. Since 2009, she performs in a duo with the French dancer Lucie Lataste in an improvisational performance Momentum. BOO : "Listen" Indies Records, 2002.